The British destroyer Cossack, enters a Norwegian fjord, captures the German freighter Altmark, former supply ship of the Graf Spee and frees 300 British merchant seamen who were captured from vessels sunk by the Graf Spee in the South Atlantic. DÃ¶nitz orders all available U-boats in the Atlantic to attack British and American shipping off the US eastern seaboard. German U-boats, with their deck guns, bombard oil storage facilities and refineries on the Dutch islands of Aruba and Curacao in the southern Caribbean. The Australian Prime Minister Curtin calls the surrender of Singapore ‘Australia’s Dunkirk’. Tojo outlines Japan’s war aims to the Diet, referring to “new order of coexistence” in East Asia. The Russians take Kharkov and Voroshilovo after nine days of heavy street fighting. Norwegian SOE Commandos are parachuted into the mountains 40 miles north of the German ‘heavy water’ plant at Telemark. They met up with the reconnaissance party, which had arrived the previous October. The British Air Minister says that bomber losses for 1943 were 2,369 U.K. and 997 U.S. planes down. Kesselring launches seven divisions in a second major attack against the US 5th Army’s bridgehead at Anzio. The U.S. Navy pounds the Japanese base at Truk in the Caroline’s. U.S. forces begin the intensive bombardment of Iwo Jima, 600 miles South of Japan. The remaining Korps of the 11th SS Army launch their attacks in support of ‘Operation Sonnenwende’. 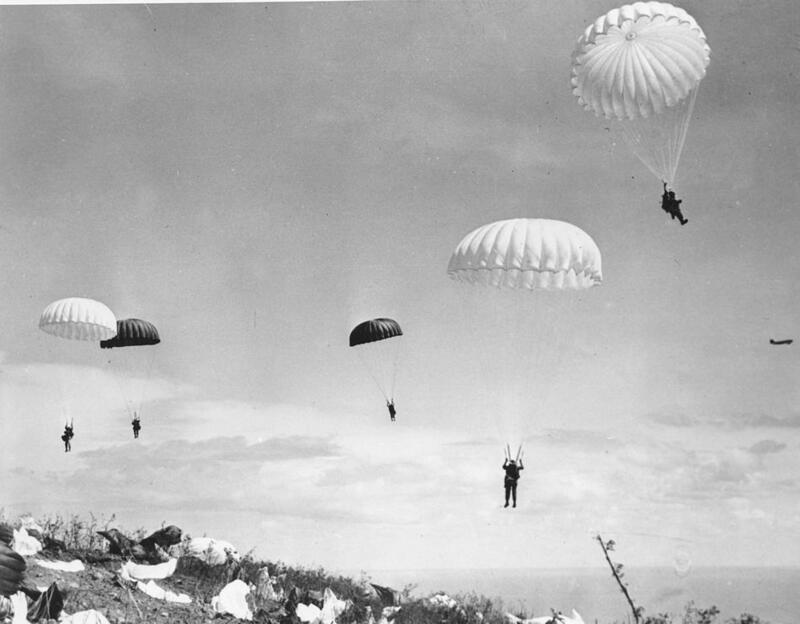 U.S. paratroops land on Corregidor Island, a Japanese stronghold in Manila Bay.